A defibrillator is a life-saving piece of equipment. What it does is deliver a shock of electricity to the heart to restore normal rhythm. In order to use a defibrillator properly, one must be trained in CPR. 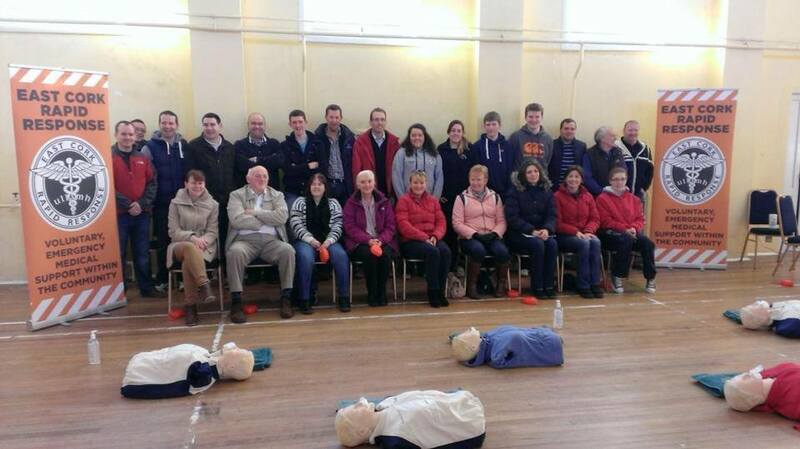 To date, we have over 80 people in the parish trained in CPR and defibrillator use. We are always looking for more volunteers to train! Recently the group held a joint fundraising event with East Cork Rapid Response Group. A total of 22 volunteers were trained and the whole experience was a very positive one. It is hoped to hold a coffee morning shortly to raise further funds. Going forward for 2014 it is hoped to train 2 people as instructors who will carry out regular refresher courses for those trained up. To this end we have purchased a data projector, computer and screen for training purposes. Thanks to all the local businesses who continue to support the group and if anybody is interested in training please contact Carmel McNamee, Clare Geaney (086 064 9146) or Martin Daly. We are deeply grateful to the people of the parish who have donated so much to this project. We also wish to acknowledge the financial contribution made by Cork County Council. 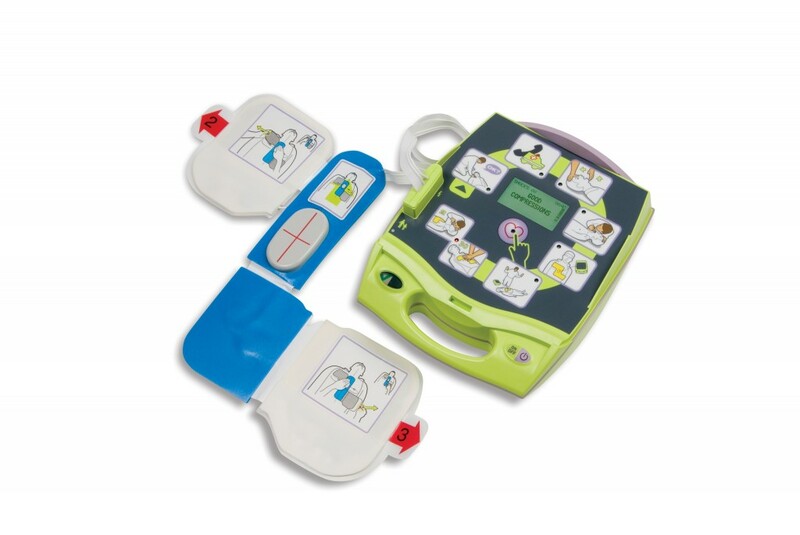 This grant has made possible the purchase of defibrillator units and training equipment.